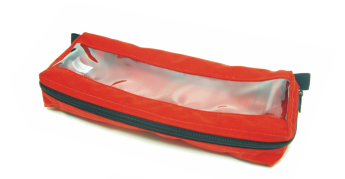 PSS:700 replaces lid pouch COLOR red, royal, orange, teal 22LX 14W X 12H. 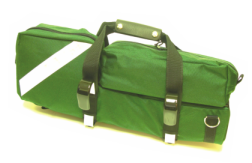 PSA:400 Soft pack kit (small) Trauma Bag comes with developed front pocket and replaceable bottom Same dimensions as PSA:500 COLOR red, royal, orange, teal. 18L X 14W X 12H. PSV:100 Rescue Vest Vest comes with flapped bottom pockets, five front pockets, oneback pocket, webbing for side adjustments and adjustable radio harnessSizes Sm/Med, Med/L, L/XLCOLOR red, royal, orange, teal. PSV:200 Rescue Vest Vest comes with zipped bottom pockets, five front pockets, oneback pocket, webbing for side adjustments and adjustable radio harnessSizes Sm/Med, Med/L, L/XLCOLOR red, royal, orange, teal. PSV:300 Rescue Vest Vest comes with flapped bottom pockets, five front pockets,webbing for side adjustment, adjustable radio harness and mesh bodySizes: Sm/Med, Med/L, L/XLCOLOR red, royal, orange, teal.